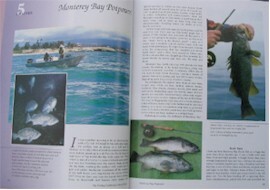 Fly Fishing California's Great Waters is about flyfishing diversity; so if you're one of those fly-anglers who loves diversity pursuing all manner of species in both fresh water and salt, from panfish to blue sharks, then this book is a must. 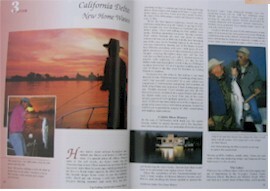 It details with text and photography all that you need to know to successfully fly-fish 11 of California's great waters for a multitude of species. 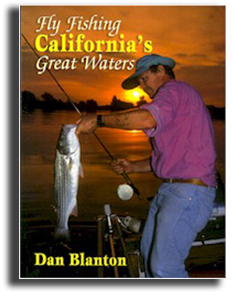 No one knows these water better than native Californian and Fly Fishing Hall of Famer, Dan Blanton, who has been plying them for more than 45 years; and who has been writing about them and photographing them for 35 years. 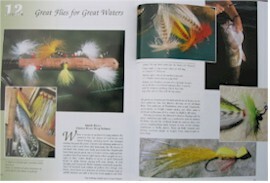 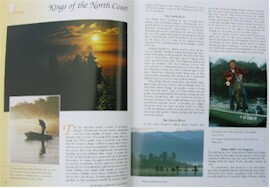 Considered a leading flyfishing pioneer, Dan knows what he is writing about and after reading this book, you will have gained a wealth of flyfishing experience, history and knowledge. 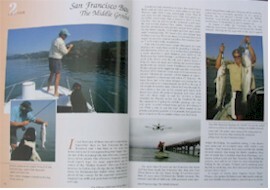 Fly Fishing California's Great Waters is available in softbound, hardbound and in numbered leatherbound, limited editions. 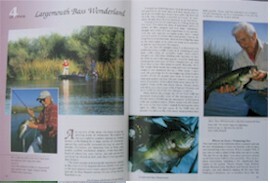 $10.00 shipping and handling - priority US mail.